Dentist visits gettin' you down? You may brush constantly and allegedly "floss" every night, but without a germ-free toothbrush, your dental report card is in jeopardy. 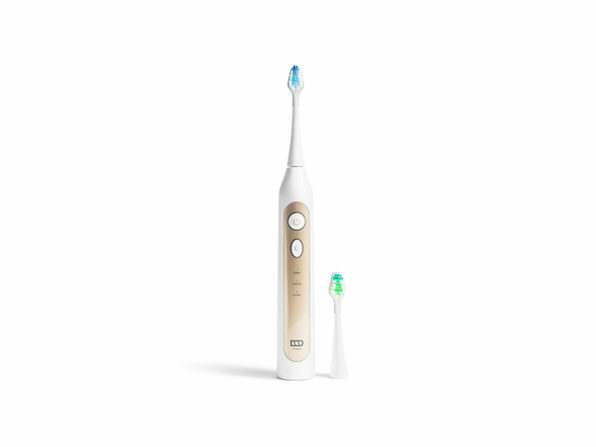 Enter TAO Clean Sonic, the world's cleanest toothbrush and state-of-the-art brushing system. 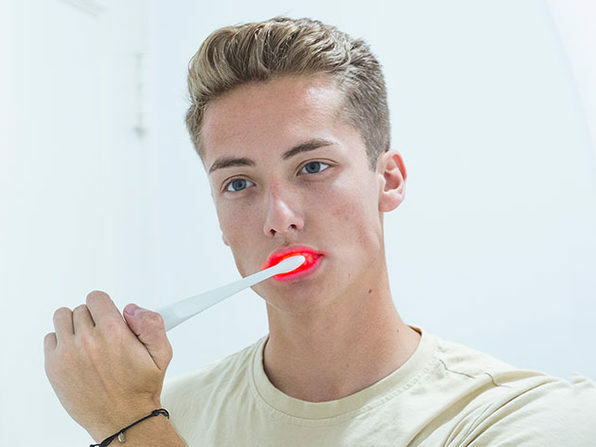 Using powerful UV-C rays, the TAO's spaceship-style Clean Station eliminates 99.9% of brush bacteria and keeps your brush dry when not in use. With a gentle 40,000 strokes per minute, you may not wake up like it, but your teeth will be looking flawless. Stay Sanitized, Stay Smiling. Base station dimensions: 6" x 5"